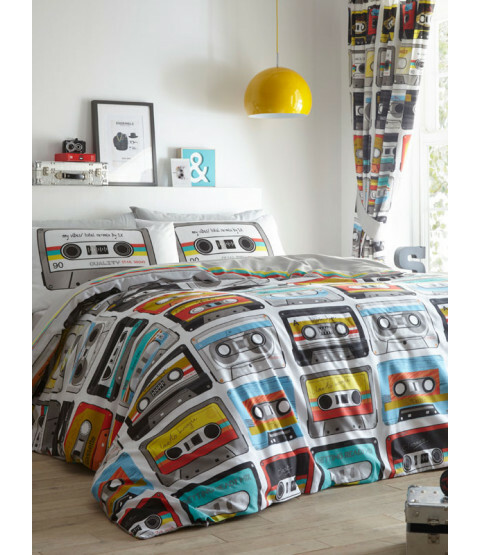 Take a trip down memory lane with this cool Retro Cassettes double duvet cover set. 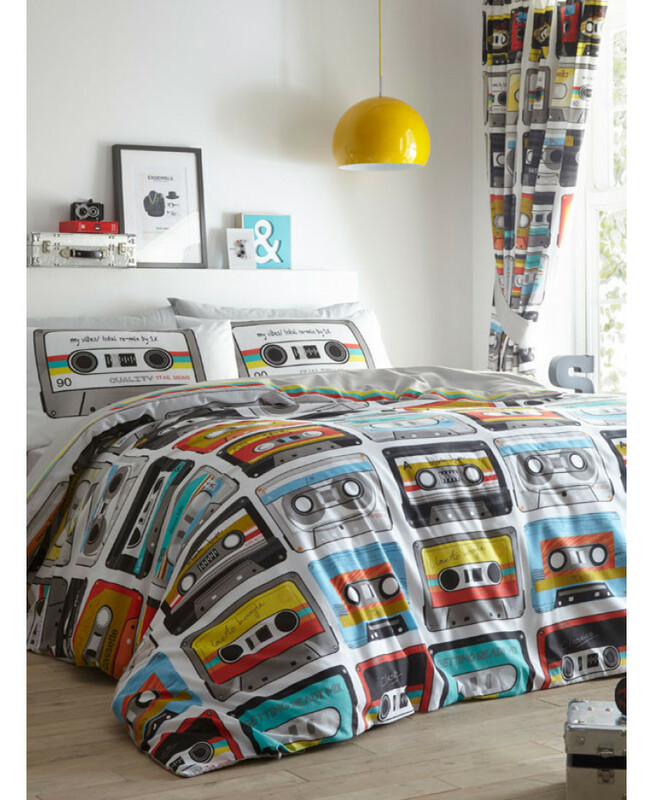 The fun design features various themed cassette tapes in bold bright colours on a pale grey background, with a coordinating red, yellow and green stripe pattern on a grey background on the reverse. 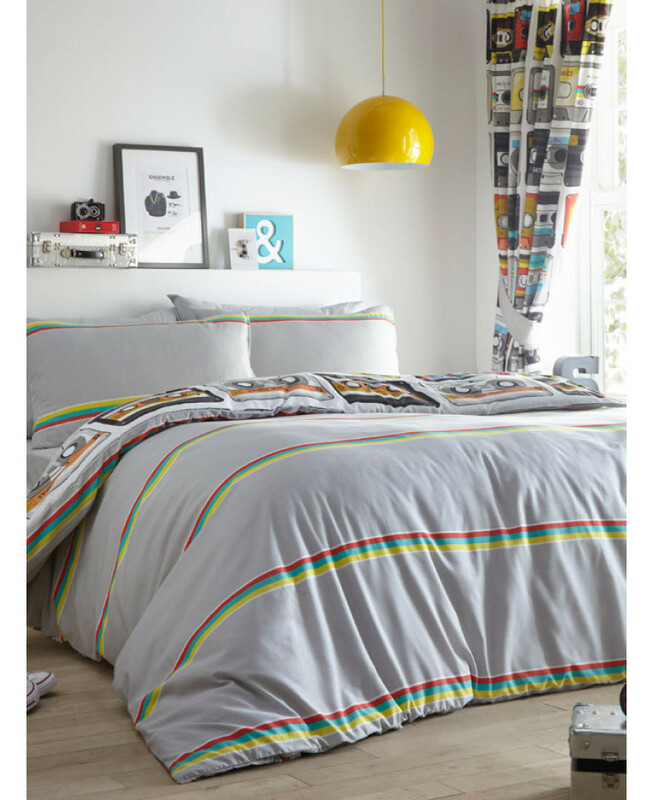 This bedding set is made from a polycotton blend and is suitable for machine washing and tumble drying on a low setting.